Roger Squires will give an illustrated talk about the history of Regent’s Canal and provide a visual tour of the current waterway. The Regent’s Canal received its Act of Parliament in 1811 . Construction started at Paddington (Little Venice) and got as far as Camden in 1815, when the money ran out. 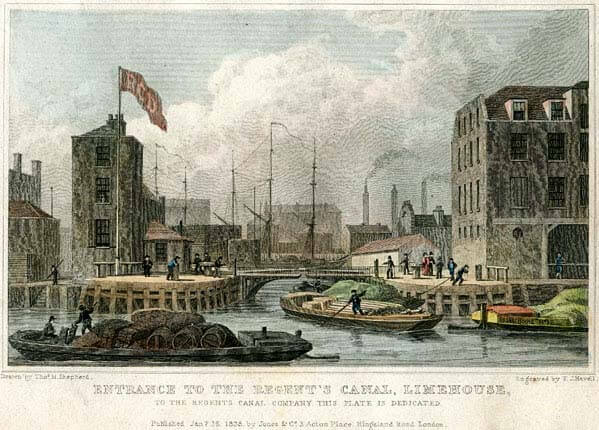 Works restarted in 1816, using Exchequer Loan Funds, with a further act, and it finally opened to Limehouse in August 1820. The Regent’s Canal Company subsequently amalgamated with the Grand Junction Canal Company and ultimately became part of the more extensive Grand Union Canal. Dr Roger Squires is a trustee of the London Canal Museum at King’s Cross. He is also the Secretary of the local branch of the Inland Waterways and a member of St Pancras Cruising Club.